We enjoyed our 'Reflections of Italy' tour. We got to see many wonderful sites in Italy, ate some amazing Italian food and took many awesome pictures. Our tour guide was friendly and fun. There were a few opportunities for improvement (in the front line customer service and our pick up at the airport in Rome). Personally, we loved Venice and would have rather had more time there instead of the short afternoon included in Milan. We loved Venice! Our hotel was on the Grand Canal, it was what memories are made of! Collette always provides excellent service and tour *******! Daniel, our Tour ******, provided us with great experiences. His knowledge and humor made each day a memorable experience! Loved Assisi and Perugia and the small town flavor. As the lead, many questions and concerns came up. All concerns were answered and handled quickly. Our Coach Driver and Manager were very very good. They were always thinking of us the travelers. Getting us close to our day's tour, suggesting foods to match our tastes, handling any room concerns, etc. Sergio was amazing. We had a large group and he worked non stop to make sure everyone had a fantastic time. I would highly recommend a trip with Collette and with Sergio as a guide. Sergio was great!!!!! I would love to take another tour with him. Collette did a fabulous job with hotel choices, guides, and entertainment. It was a once in a lifetime experience, thanks to them. Great tour, but traveler support was poor. Our tour guide, Giulio was very knowledgeable about art ad history, and he kept our tour moving along well, adjusting the itinerary to beat advantage. He was able to give us good advice for our free time. The hotels we had were well located, especially in Venice where we were on the grand canal. The included meals were also very good. My main problem with your tour was the problem a couple of us had with trying to book an extension post trip in Milan. The Collette representatives I emailed or called gave me incorrect or incomplete information. They either seemed totally unaware of extending a stay( even though it’s discussed in a catalog I’d received) or told me the out of town airport was near the city center. Really? In an ancient city they had central airports? We didn’t book the extension, and the few travelers who did were very disappointed, and may have even left earlier than planned. I never had such problems when traveling with Trafalgar or EF Tours in the past. As a result Collette is not the first company I’ve recommended to nmrous friends who asked me about future group travel. Every day was special on its own, and in total Very enjoyable. I loved the trip. My fellow travelers were great . There were too many people on the tour for just one guide. I understand there were groups from several companies. A second guide would have been very helpful. Tony was good but rushed so much that we older, slower folks had difficulty keeping up. Loved every place we went. The group was diverse ,interesting and friendly. Wonderful trip - a whole lot packed into the 9 days! It was a wonderful trip! A lot was packed into the 9 days. As always the tour was very well organized, first class hotels and tours. It was a bonus for us to plenty of free time to explore on our own. The included breakfasts and lunches were very good, but the dinners were average. The tour was advertised as moderate walking, but it was much more strenuous for some of the older people on the trip. It is difficult to choose just 1 memorable experience. Each stop seemed to get better. The tour guides were excellent, providing much interesting information and history. A lot of walking but it helped to walk off the food, which was fantastic! Everything is memorable, including the bad beds! Enjoyed the dinner & dancing after the monestary. We had a good group of folks. Great trip, great tour guide, bus driver, great everything. Excellent service with everyone involved with our tour of Italy. Tour was nonstop and we couldn’t have seen all we did without being on tour. I feel very strongly about the experience we had at the San Jose Airport, it set the tone that really made the trip bad. Why didn't Collette verify with the passenger and airlines before 6 am with my sister-in-law being put on the unable to fly list because there was a typo on either you or airline side and both pointing the finger at the other, but who cares. At 5:30 am the customer should know they have confirmed flights with no problems. Not spend hour correcting the error. I would say the even spent at the Opera House in Rome, was a highlight. Thank you for traveling with Collette to Italy. In reviewing your feedback, we understand your sister in law was able to fly on her scheduled outbound flights. We apologize for any inconvenience this airline issue caused. Our first, but not our last Collette tour! Amazing tour with an amazing tour manager and driver. Never less than top-notch professionals. They both had management and organizational skills. Sights chosen, restaurants and local tour guides were exceptional. Ease of booking, pre-flight materials received well in advance, made for a perfect experience. We would not hesitate to use Collette again! This tour thoroughly met our expectations and was truly a "Reflection of Italy"! Ready to go back for more!!! Fabulous tour - just perfect. This tour was fabulous. An exceptional tour guide made this trip a most memorable one. Everything about it was perfect. I don't even have one thing to complain about. This tour was fabulous. Our exceptional tour guide made this a most memorable experience. Everything was just right and well planned. Tour manager and all tour leaders were great--informative and helpful. The spirit of welcoming and sincere desire to please was evident. Loved this group of people. Staff and experiences were well planned and enjoyable. I had very positive feelings before and during the tour. I had a negative experience coming home and customers service at Collette has not help take care of the bad experience my husband and I had. We saw and did so many things. Had so much fun. Excellent experience from car that picked us up at our home to flight to hotels. Nothing is perfect but the service, hotels and most importantly our tour coordinator Lee was all outstanding. Visit to Venice and awesome gondola ride. 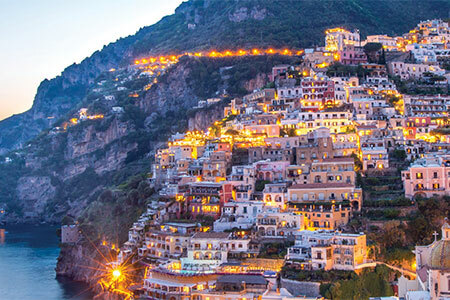 The service received from beginning of booking the trip, car service to and from the airport, meeting us in Rome and the personal attention of Denise throughout the trip made our vacation to Italy most enjoyable. The local guides added to the enjoyment. 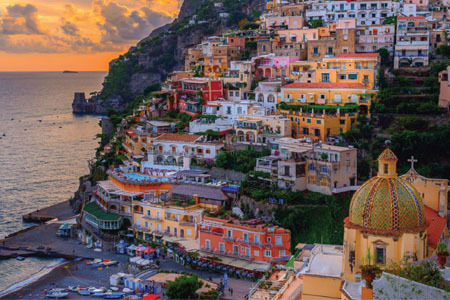 We recommend Reflections of Italy to anyone taking their first trip to Italy and are ready for an intense ten days. Rome was fantastic but we should have arrived a couple of days before the tour to have time to see more of Rome. Assisi, Perugia,Siena and Tuscany were our favorites. The scenery was fabulous. We enjoyed the Castello Del Trebbio for the tour and wine tasting, the 14 century monastery --La Certosa and the Tuscan Feast. Venice was wonderful and we wish we could have spent more time there instead of going on to Milan. Leaving from Venice would have given us the time to spend enjoying such a wonderful historic part of Italy. Our Tour Guide, Savio, was excellent in keeping us informed, on time. He was very knowledgeable of Italy, and what we were going to see. He was so helpful in helping us plan to see some sites that were not on our iteniairy. He was a great host! Our Tour Manager, Savio, was the very best! Fun, knowledgeable tour guides. Hotels, tours, internal transportation all arranged which makes it convenient and easy. Good hotel locations. Would prefer better food choices. Loved the smaller cities visited. Would not have thought to visit on my own. Collette Tours, our only choice for future tours! Our recent trip to Italy was excellent! Our Tour Guide, Giulio was outstanding, his knowledge of the sites we visited was tremendous. He enabled us to get the maximum impact of all that we visited, with humor and in a friendly manner. He is a Collette treasure! Also Antonio, our Bus driver was excellent. He drove with care and safety, watching over us and our belongings with total security. Due to this experience Collette Tours will be our only choice in the future. OUTSTANDING TOUR MANAGER, GUILIO, EXCELLENT BUS DRIVER, ANTONIO EXCELLENT LOCAL SITE EXPERTS. I was very disappointed that our Tour Manager was not Italian. I could understand if this had been a multi-country tour but it was "Reflections of Italy." Fortunately, the local guides were all Italian and easy to understand. I only wish that the same could be said about the Tour Manager. During the bus ride to Assisi, the tour description stated, "Ease your way into the local culture as your Tour Manager shares a few key Italian phases." My recollection is that we only learned Buon Giorno (and Buenos Dias). Tours that I have been on with other companies have stressed the local culture and language much more - with daily language lessons during the longer bus rides. While we were in Italy there was a significant political and financial situation that was making headlines in the U.S. but were never mentioned by the Tour Manager. Finally the descriptions of the daily activities were misleading. 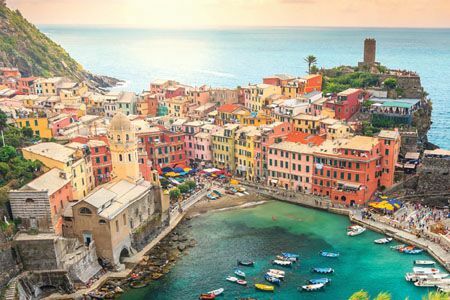 Florence: "During your cultural tour of Florence you'll also view the Cathedral of Santa Maria deal Fiore, the Palazzo Vecchio and the Church of Santa Croce." FROM THE OUTSIDE!!! Milan: "Take in some of the city's amazing sights on a locally guided walking tour: view the Opera House La Scala and Vitterio Emanuele Gallery, and visit the Duomo-- this magnificent Gothic cathedral....." IN THIS CASE, 'VIEW' MEANT ACTUALLY GOING INSIDE BUT 'VISIT' MEANT LOOKING AT THE DUOMO FROM OUTSIDE. On a tour entitled "Reflections of Italy," I would have expected to be more immersed in Italian culture. While the hotels were were nice, it was disappointing that the breakfasts did not include any of the wonderful fresh fruit that was for sale in the markets. Based on the tour description, we all thought that we would be going into the Cathedral of Santa Maria del Fiore in Florence and the Duomo in Milan. 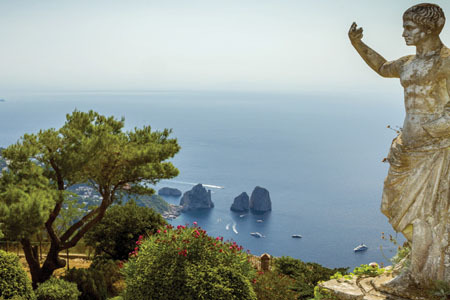 Given the cost of the tour, it could have included admission to these two iconic Italian cathedrals. Thank you for traveling with Collette to Italy. A member of the Guest Relations team will reach out to you. Excellent service throughout the tour. Tour guide was so knowledgeable and went above and beyond to make the experience great. Got into sites that that would not have had the time and patience to do on my own due to the "skip the line" nature of the guided tour group. Also some of the best experiences are not even available to the general public that Collettes has access to. Collette tours are very well planned, all aspects of the tour are top notch. The tour managers on every tour I’ve taken are extremely knowledgeable and provide you with a super experience. Very professional Took all hassle out of moving from city to city Accomplished much more than we would have alone. My trip to Italy with my fifteen year old granddaughter was wonderful. Tracy, our tour manager, was so organized and helpful. She enriched our experience with her knowledge of each area by giving wonderful options for dining and experiences .I loved all the locations we visited, especially Sienna and Assisi. My granddaughter's favorite was Rome. in fact, she would love to spend a year of college there. My favorite memorable experience was Assisi and Sienna. My granddaughter's favorite was Rome. The care, concern and professionalism of our tour guide made all the difference. She (*****) carefully appointed her time so that no one felt left out. It' s an enormous skill which often goes un-noticed because of her professionalism. Her background information was deeply scholarly yet delivered in such a way that no one was overwhelmed; they just accepted her information with gratitude. Before I travel to Italy with Collette again, I would first check to see if ***** was the agent representing your company. She made the trip the best tour I've ever been on. We were celebrating 54 years of marriage and the tour guide, *****, arranged for performers to gather at our table at the end of the performance to present us with tiramasu with a candle and sing "Happy Anniversary In Florence she upgraded our acomodations and had a bottle of champagne waiting for us in our rooms. Our trip to Italy was wonderful. Our tour manager was very knowledgeable and helpful. I had different interests which she found shops for me to visit. out bus driver was very skilled especially with the very narrow roads. I felt Collette prepared us for our trip. I would travel with Collette again and recommend them. Venice was probably my favorite city because it's so unusual. I so enjoyed the whole trip i can't say I had a particular favorite. The best thing about the tour was returning to Italy with such a fabulous tour guide is ***** *******. She made the trip so worthwhile and fun with her detailed knowledge of the country and the things we saw and places we visited. We would certainly have given the tour five stars but a couple of the accommodations were subpar. Our favorite memory? There were so many it’s hard to pick. Our tour manager ***** ******* made the entire trip great. Great Reflections of Italy Tour!!!!! Tour was great and enhanced by the wonderful Tour Manager ******* and our bus driver *******. They really made the trip most enjoyable of their excellent knowledge and driving. Everything was well planned and enjoyable! Excellent guide, ***** ******. All transportation and events well organized. I had a problem after doing the Colosseum steps & both ****** & his driver were very considerate of me. ****** even called a taxi to take me to the Academy Gallery so I wouldn't miss David. Our driver was excellent, even had to get out of the bus to move a motor cycle & road barriers once! 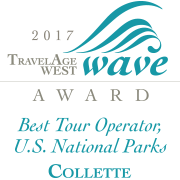 I have been on many Collette tours & have recommended them as often than I can. I think ****** showed & told so much because of his love & knowledge of Italy. It was OK. Too many churches on the trip. We wouldn't do it again. Service was good. Trip was ho-hum. Not much to write home about. Too many churches on the trip. The tour guide made a poor decision with regard to our needs on the first full day of our tour which soured the whole trip. The hotel in Rome was the pits. The planning for the trip was not the best. A one night stay in Perugia with only a few hours to spend there wasn't well thought out. The tour guide's hints her job was tough and she was doing great didn't sit well. See previous write-up. No more to be said! Collette selected a great guide - *******. ******* selected very good local guides. She kept us informed with times and shared information during our bus drives. I would recommend Collette and will travel with Collette in the future. We covered a lot of ground in a short period of time. The locations were a good mix. Standing in the square at the Vatican. Outstanding service from the moment I discussed the tour with someone from Collette on the phone right up to the moment I was dropped off at my house after the tour. There are not enough words to describe how pleased I was with this entire tour experience. The Reflections of Italy tour was perfect. The cities we toured and the pace of the tour was exactly what I was looking for. As a solo traveler I never felt alone and the group always made me feel welcomed. The absolute best part of the tour was the tour manager, Sergio. Oh my, did he have us laughing!! He was so organized and very knowledgeable. I look forward to booking my next vacation with Collette tours. The cities we toured were outstanding, but I must say my favorite was Venice. There was something magical about those canals! The tour manager, the tour guides, and the coach driver were outstanding. Details, details. Great attention to details. I hope I will get my sandals that I left in Rome (Mediterraneo Hotel). Good planning information, good communications prior to departure. Best ever tour manager. Each stop had its unique highlights. Loved the celebrations of special guests' occasions. Celebrated my birthday in Florence and Venice. It was a wonderful time! Rome and Florence were incredible, the art, the history, the beauty.... Would love to return and to spend more time there as well as in Milan. A great well-organized trip with a wonderful tour guide and a skilled driver. It was a great tour. I have nothing to complain about. We will use Collette again. Hope we get the same trip director. Excellent service and assistance from beginning to end. Very professional trip director. Pace of trip was no too hectic. Pick up at home and airport by town car was perfect! Made that part of travel so much easier. I do NOT like having to tip constantly. This should be part of trip cost even if it means increasing the price somewhat. Constantly having to have "tip" money is annoying!! Winery tour and Vatican tour. Excellent value. The coach, the castle, the included meals were great. this is the 2nd tour i have taken, i do plan on taking more!! the tour was very informative, the tour guide had a lot good information, the hotels were small but I guess that is normal for Europe, breakfast was ok, not great in rome, local guides were very good especially in Rome Cristian was awesome, the Chiatti winery was very nice, the Tuscan feast was also fun!. the only thing that I didn't like was we took to many stops on the way to Milan, ate lunch at a gas station, instead of getting there earlier an having more time to shop, and eat, and touring another castle should have been optional. loved rome! so much good information! It was all so fun! Excellent guides. Did not like the optional "Dinner with tenors" It was more of a comedic cabaret.... not worth the show or the dinner. Our second option was a trip to a monestary which was excellent.... but the Italian dinner show and music was horrible..... noisy and in a rec room.... like a bad Italian wedding!!! Why are they singing New York, New York???! Very touristy and did not reflect the Tuscan feast as advertised. These programs were Mis marketed and and really missed the mark.... a waste of money and time..... not authentic in any way..... never again! Touring with a company that feels like family! This is my second tour with Collette and both have been home runs. Collette has items that are personal/exclusive to them and not available to the other tour companies. The feeling of a family run business is obvious compared to the corporate feel of the other guys. Highly recommend! All staff from booking to tour were great. Liked Delta airlines very much. Even though my trip was cut short due to personal injury what I did complete was great. First Guided Tour, but Not My Last. All accommodations were not equal--most were a 3 or 4, but Venice was a definite 1. All local guides were very knowledgeable, but some very difficult to understand. Favorite city: Siena Favorite experience: Gondola ride in Venice Also enjoyed the glass blowing demonstration in Murano. Group dinners were also very enjoyable. Difficulty with pick up at Rome.airport.After customs companies holding signs..no Collette. Your pick up was after leaving inside of baggage claim. Instructions unclear as where to meet rep. Had to call ...did not want to leave area because once you left you could not return inside . Difficult to name one venue. Enjoyed Rome and Tuscay visit to winery, luncheon, etc. It was a perfect tour. We went to all the sites we had read about for years. Italy is so full of history and art. The tour director was so personable and knowledgeable. The hotels were great and well located. The bus driver was incredible. Amazing adventure. Great atmosphere. Nice local suggestions for free time. Tucson feast was the most incredible night. Wonderful time in Italy with Sergio, the BEST tour guide ever!!! I enjoyed all the cities/towns we visited but Venice was by far my favorite. It exceeded all my expectations! Wandering through the narrow streets, getting lost, and finding different paths provided a rewarding experience that will be remembered. I look forward to returning. Handled by travel agent. Your service offered an extra night at the initial hotel for $300 and I was able to book the hotel myself for $123. This was our first time to Italy and traveling with Collette!! We had a wonderful time!! Our tour guide was wonderful along with the other forty people on our tour!! We could not of asked for a better group!! We are now truly friends! Loved Italy! No worries everything went great!! An unbelievable experience that we will treasure forever!!! Booking the tour was easy and Collette followed up with a package of information that helped enormously in getting started. When I had questions they were answered immediately. 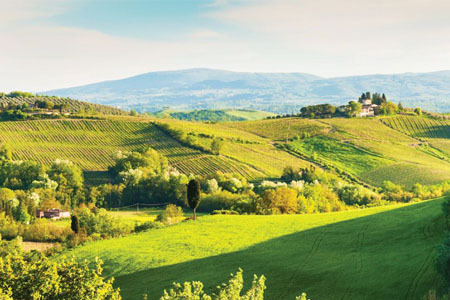 It is difficult to pick a favorite experience because every step from Rome to Milan passing through Assisi, Perugia, Sienna, Florence and Venice was exciting, educational and rewarding. I want to add that our tour guide, did a wonderful job. He was always upbeat, informative and helpful. I also watched while he was busy attending to the business of guiding, moments when I don't think he was aware I was paying attention, It was then I could see how focused he was on taking care of the paperwork and details of the tour so that he made it seem almost easy to lead us through much of Italy. It can't have been easy, but he made it easy for us. I did note that several on our tour had had before and had liked him so much that they insisted on having him when they booked subsequent Collette tours. Yes, he is that good. Collete travel experiences are wonderful! Collette representatives made registering for the trip very easy. Helpful emails provided additional information. I would recommend Collette without reservation. Excellant tour and overall a great experience. Collette exceeds every expectation in a tour company and is highly recommended. The Reflections of Italy tour we took was fantastic. The tour guide that we had was very informative and very familiar with the areas that we visited. If you get the chance, book a tour with Gary Bowling as the tour guide. We would gladly book another tour with Collette. They are great!! The local tour guide that lived in the areas that we visited gave us insight as to the history and background of the areas, they were fantastic. Food was great, Hotels were great , couldn't be happier with the experience. The only draw back was a lot of walking but that was expected. In speaking with other tour participants, it was realized that an number of them had beem on other Collette tours and had the same sort of experience that we did on other tours. Collette is the only way to go!! Our travel agent was knowledgeable and offered suggestions to make our vacation a memorable experience. The only downside the US experience was the car service to and from the airport. During both legs of the journey, they failed to show up. Well hard for me to determine as our travel agent had all the contact with Collette. We believe that the gratuities for all parties should be included in the fee for the tour. Having to scramble for currency, and wait in line to tip does not in any way add to the tour! The only other suggestion would be additional legroom on the buses. Very tight! Collette as an organization was easy to deal with. No problems answering all my questions no matter how trivial. Will definitely travel with Collette again in the future. Some of the most unique sightseeing can mean accessing locations that restrict motor coaches, especially in historic areas. For your comfort, we recommend bringing walking shoes. If you require a walker or wheelchair, or have difficulty walking, you may not be able to access some of these areas and may want to consider an alternate program with us. 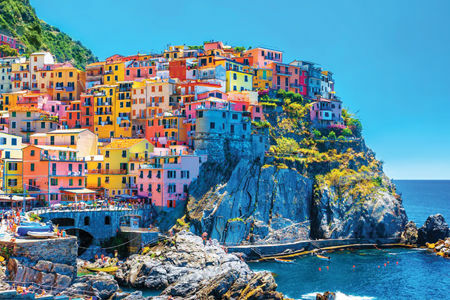 Our travel counsellors can provide additional information or assistance to help you determine the perfect trip for you. Most national museums in Florence, including the Uffizi Gallery and the Academy, are closed on Mondays. If visiting the Academy Museum falls on a Monday on your itinerary, reservations will be made to visit the museum on Sunday upon arrival in Florence. **On occasion, due to inclement weather, your boat trip to Murano Island may be substituted with a visit to a local glass factory in Venice. Vatican Museums are closed on Sundays and holidays that fall on Saturday. *Due to the unpredictable nature of the events schedule at the Vatican, on certain dates it may be necessary to visit the Vatican Museums at a different time. For example, when the Vatican option falls on a Wednesday, the order of included and optional tours may be reversed in order to participate in all activities for that day.